Eating through your Ears: Listening to Music makes Food taste better! Heston Blumenthal: 3 Michelin Stared Chef is renowned for his experimental approach to cooking and for using science to push the boundaries of the dining experience. 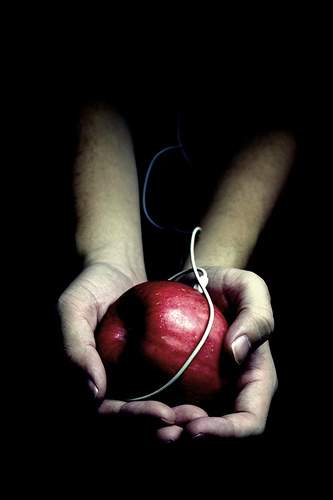 Do you listen to music when you eat, or Does the sound of chewing and chomping irritate you? Listening to music can be great for unwinding – especially after a long day. I wonder if department stores and hotel elevators would be much more stressful if it weren’t for the piped music! But what about listening to an instrumental piece for when you’re chowing down? If the sound of mastication turns you off, then perhaps music could be an ideal accompaniment. Personally, I enjoy a bit of Mozart at mealtime, but am I the only one? Could there be a good reason for this? The effects of music on the enjoyment of food hasn’t been properly studied in a scientific way before. But recently published research in the Journal of Culinary Science & Technology has just changed that. 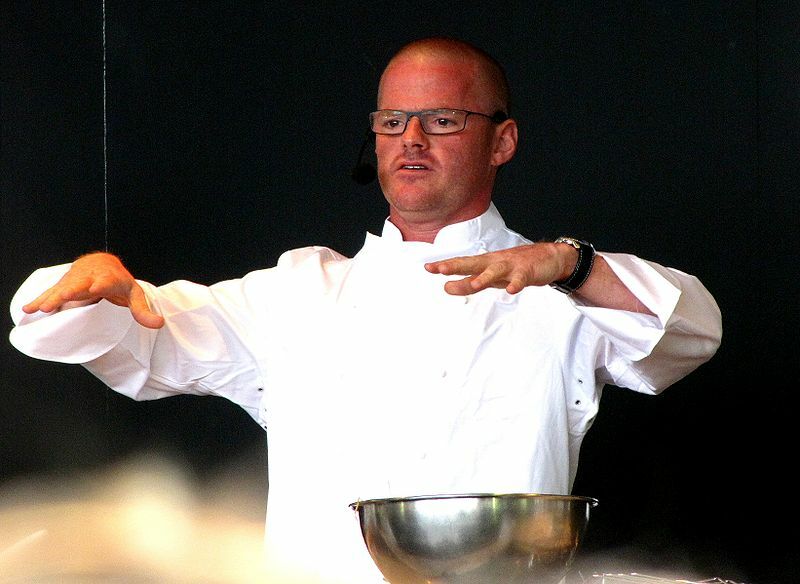 Heston Blumenthal is famous for his scientific approach to pushing forward the boundaries of the dining experience. Is it possible that the man who makes Bacon and Egg ice cream could use music to make his food taste even better? Eating out can be one of life’s great pleasures. When our bank balance permits it, we love to treat ourselves to a bit of ‘posh’ fine dining with all its niceties: Attentive waiters, white linen table cloths, silver cutlery and good wine. (And no washing up)! But music doesn’t normally seem fit into the mix – most restaurants I’ve been to just don’t play any background music. Three hospitality gurus from the US were interested by whether music could change to eating experience and decided to find out more. Using a bit of Heston-style science they set up an experiment find out whether background sounds can fundamentally change the eating experience. They started by inviting groups of hungry diners for a free restaurant meal. The only caveat for the free tucker was that all the volunteers had to complete a ‘dining satisfaction survey’ afterwards: A detailed questionnaire that would examine in detail their dining experience. Fine Dining: It looks good but what does it sound like? But before the plates were put out, the researchers did made some devious little changes to the dining room. They installed a hidden network of speakers with sets of sound monitors so that throughout the meal they could precisely monitor and control background noise and music levels. We Eat through Our Ears! Their results showed that food tasted nicest when served with quiet classical music and a hint of background ‘chatter’. This was found to only work at certain volumes (precisely: 62-67 decibels) and outside of that range – the diners enjoyed the taste of the food less! The most remarkable finding was the dramatic effect that silence had – it actually took away the enjoyment of eating! In a music-less environment, the sound monitors recorded only the quiet clink of cutlery – but this was experienced by all the volunteers as very noisy! It seems that in the absence of at least some ambient sound, the restaurant setting became a very uncomfortable place to be. The next time you (or Heston) want to impress someone with your cooking prowess, just make sure you put the CD player on (but not too loud). Related post: Take the Music Personality Test! Guru Issue Two is now out - it's free! INTERESTED IN THIS SORT OF STUFF? I’ve been part of a team that has just launched a new (free) bi-monthly magazine which aims to deliver more of the same. 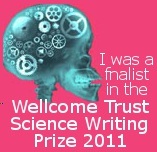 It all started on 1st June 2011 – Check it out here! « New Study: Can Religion Help You Fight Serious Illness? Hmmm, I will always ask for music to be turned on (or down) in a coffee shop. Even my coffee tastes better within a certain decibel range, it seems. But as I age, that range may be varying! In the study, all the volunteers were 19-27 years of age. If you fall outside that age bracket, perhaps the 62-67 dBA might not apply…!? I haven’t tried it in the house. That will be a great experiment! I love how more and more people are experimenting with music in their daily lives – but I confess to not having considered the culinary market! My own studies as a psychology undergrad with noise levels and a reaction time box showed a very clear bell curve in how decibel levels affect performance – the idea that this stimulus curve (peaking at 62 to 67 decibels) is replicated in the brain’s appreciation of food kinda makes sense. However – it’s hard to make the leap from noise (I used a tone generator) to music. The most recent studies into how music affects us show that the traditional model of classical music and the “Mozart Effect” don’t translate outside certain socio economic groups. Music clearly has an effect but that has more to do with changes in emotional state than any physical change in body chemistry elicited through cunningly woven sound waves. The more music comes out of the background and into the foreground – the key factor that determines whether it will affect us positively or negatively is whether we like it and whether we have control over it; Classical music can actually perform poorly in younger study groups. So – not sure about the sweetness of pop or the meatiness of rock – but Country – that’s probably going to make you have an argument with your dining partner, drive off, have a car accident, be woken from the coma by your sobbing partner and then settle down and have 10 kids! It’s fascinating to hear about your research (I’d love to find out more), and yes, I would love to see someone explore the effect of music types on eating within different socio-economic groups. Word to researchers: It’s not just posh people that like to eat out you know!! Actually – 3 years as a writer on a country gig was great fun – although it was more Stevie Ray Vaughn than Patsy Cline – still – you can’t beat Country lyrics. thx! im 11 years old and this article helped me on my reasearch paper!!!!!! is anyone going to awnser me and say aww thx em! glad i helped! no just kidding. i never get responses and i never awnser them but i might come back to this site tommorow.